Dr Murray Adamthwaite, B.A., B.D., M.A., Ph.D.
Murray Adamthwaite obtained a B.A. from Melbourne University in 1971, with majors in Philosophy, and History and Philosophy of Science, and a sub-major in Hebrew. From there he went on to the School of Oriental and African Studies in London where he read Ancient History, Akkadian, Ancient Mesopotamia, and Hebrew. After that, he studied at the Reformed Theological College in Geelong from where he graduated in 1990 with a B.D. with Distinction—a degree recognised by the Australian College of Theology. From 1982 to 1989 Murray was lecturer in Old Testament at the Tahlee Bible College, New South Wales, being the senior lecturer in the college for his last three years. In 1990, Murray completed a Master’s degree in Ancient History at Macquarie University in Sydney. In 1997 he was awarded a Ph.D. at Melbourne University, again in Ancient History, Languages (Akkadian), and Literature. Murray has participated in three archaeological excavations, two in Israel and one in Syria: Tel Gerisa (1986) under Ze'ev Herzog, Lachish (1987) under David Ussishkin, and Tell Ahmar on the Euphrates (1992) under Guy Bunnens. 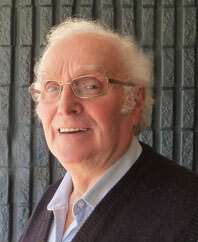 Murray has pastored churches in Bassendean, Western Australia and Newcastle, and lectured at Melbourne University. He currently holds the position of Research Fellow at Melbourne University, where he also does sessional lecturing in his respective fields. In addition, Murray is Tutor in Old Testament with Tyndale College, a distance education operation based in Hunters Hill, NSW. Is Genesis 1 Just Reworked Babylonian Myth?